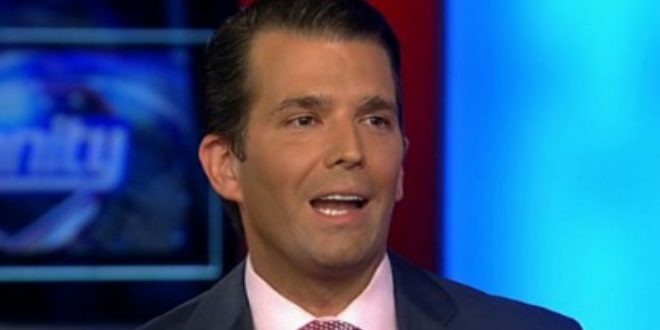 Junior Secretly Communicated With Wikileaks - Joe.My.God. The messages show WikiLeaks, a radical transparency organization that the American intelligence community believes was chosen by the Russian government to disseminate the information it had hacked, actively soliciting Trump Jr.’s cooperation. WikiLeaks made a series of increasingly bold requests, including asking for Trump’s tax returns, urging the Trump campaign on Election Day to reject the results of the election as rigged, and requesting that the president-elect tell Australia to appoint Julian Assange ambassador to the United States. According to a source familiar with the congressional investigations into Russian interference with the 2016 campaign, who requested anonymity because the investigation is ongoing, on the same day that Trump Jr. received the first message from Wikileaks, he emailed other senior officials with the Trump campaign, including Steve Bannon, Kellyanne Conway, Brad Parscale, and Trump son-in-law Jared Kushner, telling them Wikileaks had made contact. Kushner then forwarded the email to campaign communications staffer Hope Hicks. At no point during the 10-month correspondence does Trump, Jr. rebuff Wikileaks, which had published stolen documents and was already observed to be releasing information that benefited Russian interests. There’s SO much more at the link.